Let me start with a confession. Emre has always been one of my favorite airline optimization experts. 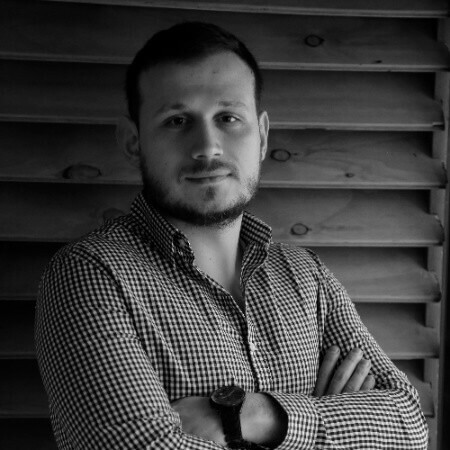 I got to know him when he was Head of Digital Product & Growth Marketing at Pegasus Airlines. So, when I heard he’d left Pegasus Airlines for Skyscanner, I was disappointed at first. He’d always been one of the best airline people to talk with about all things CRO. We’d talked a lot about how to build a conversion optimization team in an airline environment. Emre had always supported my airline CRO research projects and was a colleague I knew I could always ask for any feedback. And now, he was gone. 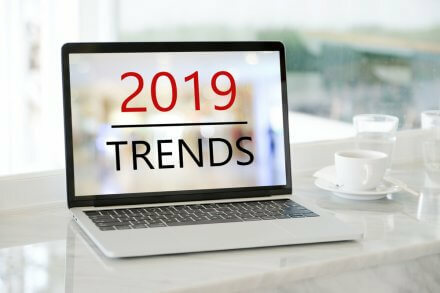 However, the more research I did for my 2019 Airline Conversion Optimization research, the more one theme became evident: building the right culture and having the right mindset is crucial for any success with experimentation and CRO. This is an area where most airlines lag behind compared to other travel-related digital companies like Airbnb, Skyscanner or Trivago. They are digital natives that only offer digital products distributed over digital platforms. Experimentation, A/B testing, and conversion optimization is in their blood, in their DNA. For all of us who work in the airline industry, however, this sometimes feels like a completely different world. So, who could be better to compare these two worlds than Emre, who has experienced both firsthand? I would say not many people are better suited then Emre (but spoiler alert – there is one other expert with a similar path who I got to know and interviewed during my research; full article coming soon). During my research, I talked with Emre about how they built a conversion optimization team at Pegasus, the key challenges, and the main differences compared to Skyscanner. You can find key highlights of our talk below. NOTE: You should also check out the full video interview because Emre shared many other valuable thoughts on growth marketing. How was your growth team at Pegasus organized? We called our team a growth team, so it was not only conversion optimization. We wanted to own the whole customer journey, from anonymous user to the loyal user through our digital products. In total, we were six people but we also had some very valuable partners that we outsourced to some of our growth activities. Six people is not enough to run your growth activities for 40 markets that you fly to. So we had to get help from external partners. I say partners, because we didn’t have classic agency – client relationship. We had a combined, hybrid team that worked in sprints as a unified team for the same goal. Who was on the Pegasus internal team? The Pegasus internal team was organized in an AARRR funnel model. Two people for leading the acquisition growth activities, like paid and unpaid. Just bottom of the acquisition funnel, because we had a separate brand team as well. Then we had two people focusing on product and activation, but also retention as well. Lastly, we had a Conversion Rate Optimization Specialist who was leading the whole experimentation process. He was doing that on every level – not only activation, on the website, but also helping people from acquisition to design the experiments, run the experiments, analyze the experiment results and share the results with all the stake- holders. So including me these six people were running the whole digital growth cycle. You had an internal core team and then an external team that you outsourced some activities to. What kind of activities did your outsourced partner do? We worked closely with an external partner for more than six years. They had two teams; one team was working on the performance acquisition and the other on establishing infrastructure of measurement. This second team also did digital analytics and developed experiments. That team was a cross- functional team with designers and developers and they were running the experiments with the guidance of our CRO specialist. They were also analyzing and sharing the results of the experiments with us. So, we got one internal person for conversion optimization, but with that dedicated external team we had a team of six people in an optimization team just focusing on CRO. Would you say that this kind of hybrid setup allows mid-sized airlines to run experiments faster? Yes, I do believe so. Of course, the main goal would be to have everything in-house and building experiments within your organization. But to move there it takes time, because it’s not only about scaling up people and the necessary tools. 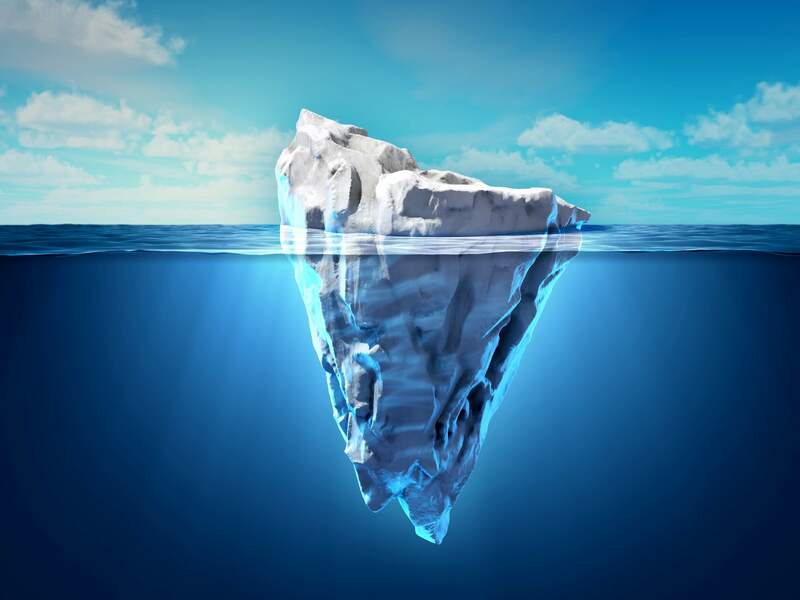 The most important thing is the invisible part of the iceberg – the culture. With the help of the external partner, it was easier and faster to build this experimentation culture and deliver results. It’s like going to the gym. When you do your first experiment, you have the same feeling like after the first day at the gym. Every muscle aches. So in order to build your momentum, your experimentation velocity and learning speed, it can be beneficial for airlines to work with external CRO partners. However, it needs to be as a hybrid – there is a culture within it as well. It can’t be like “do this and report back to me” model. You need to learn together. A Lesson from Skyscanner – How to Organize Your Company to Run More Experiments? When we talked about how to organize your conversion optimization team, you said that the most important thing is the invisible part of the iceberg – the culture. Is this the biggest challenge airlines face, to empower people for experimentation and grow this culture? Yes, it’s the culture. It’s in [our] nature for people; nobody wants to be wrong, especially upper management. When someone says “let’s change this at checkout, let’s put this ancillary on this step,” when you experiment on that idea, that hypothesis, and you see bad results – as a growth professional you get excited because you failed fast and you failed forward. But if you didn’t do this [experiment] and you spent all your resources on building that thing, you would be failing much in deep. You would be in much bigger trouble. By culture I don’t mean only convincing the CxO level but other stakeholders as well, because in a huge airline, the digital products are for everyone. Especially for end customers, you always need to listen to the end customers. So, yes, having customer requests in the production pipeline and aligning all the stakeholders with the experimentation and learning culture is the biggest bottleneck. What was your experience with this mindset when you worked in an airline environment? Airlines are more operation-oriented companies by their nature. They should be, because they do a fantastic job of transferring people from point A to point B. This job is really hard, lots of regulations internationally, so the focus is there. So when you try to make your booking engine more flexible and scalable it takes time. It’s not something you can do overnight. Now that you moved to Skyscanner, a digital travel company that only has a digital product, what would you say is the biggest difference when it comes to culture? What is the main difference below the tip of the iceberg? I was really surprised when I started here. Even though I was following Skyscanner’s Medium blog and what they share about their transformation, I was surprised how deep the experimentation and growth mindset is and at how large scale it is. Lots of people are focusing on growing products at every step of the funnel within different markets. The speed and the pace here is mind-blowing. Every day you learn something new, and it’s not always good news; there is bad news as well. Sometimes failing at an experiment can show you a quicker way to solve a traveler’s problem. Or you see winning cases in other markets you can apply in the other markets and test if it works there as well. I would say there are two main differences. One is the scale, like the people, the tools and the culture. But there is also the focus. There is only one focus here – that is solving travelers’ problems via digital products, since there is no operation here. I also follow Skyscanner’s Medium blog and see the agile organization of squads and tribes. Is this matrix organization something that helps Skyscanner do experimentation and optimization on a large scale? Does having many teams working on different parts of the digital journey and optimizing it constantly instead of one central team help you do more? Yes, that helps a lot. It makes things faster and quicker. And it’s not black and white. If something doesn’t work at organization, we try something else in terms of team structure, etc. Experimentation culture is also the way we work. Let’s say if you don’t run your processes through Trello, then try something else. It’s very flexible and very quick. That kind of structure enables this speed and quickness. 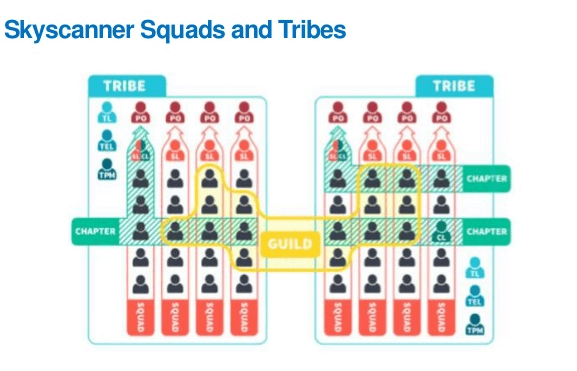 Having non-centralized and distributed squads and tribes in a matrix structure gets people to work closer and quicker. Looking back to your work at Pegasus, and the things that you’ve since learned at Skyscanner, if you were to go back to Pegasus what would you do differently? I would try to implement even more agile and lean approaches, even though we tried really hard with that. Pegasus was actually one of the rare airlines in the region focusing on growth and conversion optimization. So, yeah the focus would be on upscaling people and increasing the speed. Learn More About Conversion Optimization –> Download the Best Airline Ecommerce Whitepaper! I am passionate about digital marketing and ecommerce, with more than 10 years of experience as a CMO and CIO in travel and multinational companies. I work as a strategic digital marketing and ecommerce consultant for global online travel brands. Constant learning is my main motivation, and this is why I launched Diggintravel.com, a content platform for travel digital marketers to obtain and share knowledge. You are welcome to reach out to me at iztok.franko@diggintravel.com. [NEW] 2019 AIRLINE CRO SURVEY! 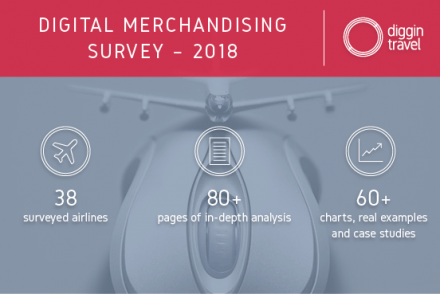 Download PDF with benchmarks and insights from 38 airlines. Thanks! You will receive email with the PDF link shortly. If you are a Gmail user please check Promotions tab if email is not delivered to your Primary. Seems like something went wrong. Please, try again or contact us. 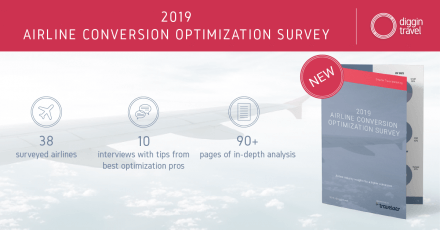 [NEW] 2019 AIRLINE CONVERSION OPTIMIZATION SURVEY!